Professor Hannes Lohi’s research group at the University of Helsinki and Folkhälsan Research Center in Finland has identified a mutation in the ITGA10 gene that causes chondrodysplasia (dwarfism) in two dog breeds, the Norwegian Elkhound and the Karelian Bear Dog. The research revealed a new chondrodysplasia gene in dogs, and a candidate gene for human chondrodysplasias. The finding has implications on bone biology as well as canine health. A genetic test can now be used to identify mutation carriers in the two affected dog breeds. The study was published online in the open-access journal PLOS ONE on 25 September 2013. The ITGA10 mutation causes autosomal recessive disproportionate short-stature dwarfism of varying severity. The appearance of affected dogs is characterized by considerably shorter limbs than normal dogs, and other skeletal abnormalities may follow, including bowed forearms, abnormal digits, and malformed femoral heads. The ITGA10 gene codes for an integrin subunit that assembles into a cartilage-specific collagen receptor, found in the growth plates of long bones. The receptor is important for the process of endochondral ossification, in which the cartilage cells first proliferate, and are then replaced by bone tissue. Accordingly, several abnormalities have been found in the growth plates of affected dogs both in radiographic and histological examinations. The causative mutation was mapped to a specific region on canine chromosome 17 by comparing the genomes of affected and healthy dogs. Further analysis of this chromosomal region revealed a single nucleotide change in the ITGA10 gene, which disrupts the gene by introducing a signal that prematurely ends the production of the encoded integrin subunit. A Mayo Clinic researcher, along with collaborators, has shown that an individual's genomic makeup and diet interact to determine which microbes exist and how they act in the host intestine. The study was modeled in germ-free knockout mice to mimic a genetic condition that affects 1 in 5 humans and increases the risk for digestive diseases. The findings were published online on September 23, 2013 in the PNAS. "Our data show that factors in the differences in a host's genetic makeup — in this case genes that affect carbohydrates in the gut — interact with the type of food eaten. That combination determines the composition and function of resident microbes," says Purna Kashyap, M.B.B.S., a Mayo Clinic gastroenterologist and first author of the study. He is also a collaborator in the Microbiome Program of the Mayo Clinic Center for Individualized Medicine. Roughly 20 percent of humans lack the gene that encodes proteins for processing a specific carbohydrate, a sugar in the intestinal mucus called fucose. The interaction shown by the research team is valuable because many bacteria are adept at utilizing carbohydrates such as fucose, which are abundant in the gut. Confronted with diets that have little or no complex plant sugars, these bacteria are forced to change their function, especially in hosts that lack fucose. This was seen with the altered metabolic gene expression of one of the key microbes in the gut — Bacteroides thetaiotaomicron. Changes in microbial membership or function as demonstrated in this study may, in turn, foster a "digestive landscape" that can promote inflammatory conditions such as Crohn's disease. The microbiome represents millions of microbes in the gut and elsewhere in the body. They perform specialized functions to help keep metabolism in balance. Dr. Gerald Zon’s latest “Zone in with Zon” blog post, dated September 23, 2013, focuses on a discussion of “exosomes,” tiny ~30-100 nm extracellular vesicles discovered 30 years ago. These exosomes are released from cells and can fuse with the membrane of target cells and enable the transmission of exosome informational cargo, e.g., protein and RNA, into the target cell. According to Dr. Zon, “the ability to influence gene expression in distant cells through exosomes presents a remarkable model for cell-to-cell signaling that offers an entirely new perspective on intercellular communication. This also has potential therapeutic applications, such as in diagnosis, intervention, and artificial gene/mRNA delivery.” Dr. Zon cites an explosion of exosome-focused peer-reviewed articles in the last ten years, as evidence of increasing awareness of the importance of these information-loaded vesicles. He also highlighted a 2007 article by Valadi et al. that reported that exosomes from mast cells contained mRNA from ~1,300 genes, many of which were not present in the cytoplasm of the donor cell. He noted that in vitro translation showed that the exosome mRNA was functional and analysis of total RNA from the exosomes revealed the presence of small RNAs, including miRNAs. In addition, the RNA from mast cell exosomes was transferrable to other mast cells. Dr. Zon said this publication has been cited more that 1,300 times, particularly in the molecular biology of cancer. Dr. Zon goes on to discuss recent work documenting the release of exosomes by the human placenta into maternal circulation throughout pregnancy, as well as the role of tumor-released exosomes in promoting cancer developmement. Dr. Working with mice, Johns Hopkins researchers have discovered that weeks of treatment with a repurposed FDA-approved drug halted the growth of — and ultimately left no detectable trace of — brain tumor cells taken from adult human patients. The scientists targeted a mutation in the IDH1 gene first identified in human brain tumors called gliomas by a team of Johns Hopkins cancer researchers in 2008. This mutation was found in 70 to 80 percent of lower-grade and progressive forms of the brain cancer. The change occurs within a single spot along a string of thousands of genetic coding letters, and is disruptive enough to keep the seemingly innocuous protein from playing its role in converting glucose into energy. Instead, the mutation hijacks the protein to make a new molecule not normally found in the cell, which is apparently a linchpin in the process of forming and maintaining cancer cells. Encouraged by the new findings, described online on September 16, 2013 in the open-access journal Oncotarget, the Johns Hopkins researchers say they want to work quickly to design a clinical trial to bring what they learned in mice to humans with gliomas. Despite the growing understanding of IDH1 mutant gliomas, the development of effective therapies has proven challenging, they say. "Usually in the lab, we're happy to see a drug slow down tumor growth," says Alexandra Borodovsky, a graduate student in the Cellular and Molecular Medicine Program at the Johns Hopkins University School of Medicine, who performed the experiments. "We never expect tumors to regress, but that is exactly what happened here." "This therapy has worked amazingly well in these mice," says study leader Gregory J. Riggins, M.D., Ph.D., a professor of neurosurgery and oncology at the Johns Hopkins University School of Medicine. Although sorghum lines underwent adaptation to be grown in temperate climates decades ago, a University of Illinois researcher said he and his team have completed the first comprehensive genomic analysis of the molecular changes behind that adaptation. Dr. Patrick Brown, an assistant professor in plant breeding and genetics, said having a complete characterization of the locations (loci) affecting specific traits will speed up the adaptation of sorghum and other related grasses to new production systems for both food and fuel. Dr. Brown is working on the project through the Energy Biosciences Institute (EBI) at the University of Illinois, hoping to use the sorghum findings as a launching pad for working with complex genomes of other feedstocks. The EBI provided the startup funding for the study. To adapt the drought-resistant, tropical sorghum to temperate climates, Dr. Brown explained that sorghum lines were converted over the years by selecting and crossing exotic lines with temperate-adapted lines to create lines that were photoperiod-insensitive for early maturity, as well as shorter plants that could be machine-harvested. "Surprisingly no one had ever really genotyped these lines to figure out what had happened when they were adapted," Dr. Brown said. "Now that genotyping is cheap, you can get a lot of data for a modest investment." Previous studies had looked at a specific genomic region or a smaller subset of these lines. "This is the first study to look at all of them. A previous paper had come out looking at a specific region of chromosome 6. What we did was not much more expensive, and we got a bigger picture that was completely technology enabled," he said. The results were published online on June 26, 2013 in an open-access article in Genome Biology. Researchers have made an exciting breakthrough – developing a first-of-its-kind imaging tool to examine myelin damage in multiple sclerosis (MS). MS is an extremely difficult disease to diagnose, and the new tool is expected to help physicians diagnose patients earlier, monitor the disease’s progression, and evaluate therapy efficacy. Case Western Reserve University School of Medicine scientists have developed a novel molecular probe detectable by positron emission tomography (PET) imaging. The new molecular marker, MeDAS, offers the first non-invasive visualization of myelin integrity of the entire spinal cord at the same time, as reported online on September 23, 2013 in the Annals of Neurology. “While MS originates in the immune system, the damage occurs to the myelin structure of the central nervous system. Our discovery brings new hope to clinicians who may be able to make an accurate diagnosis and prognosis in as little as a few hours compared to months or even years,” said Yanming Wang, Ph.D., senior author of the study and associate professor of radiology at Case Western Reserve University School of Medicine. “Because of its shape and size, it is particularly difficult to directly detect myelin damage in the spinal cord; this is the first time we have been able to image its function at the molecular level.” As the most common acquired autoimmune disease currently affecting more than two million people worldwide, MS is characterized by destruction of myelin, the membrane that protects nerves (see image). Once damaged, the defective myelin inhibits the nerves’ ability to transmit electrical impulses, causing cognitive impairment and mobility dysfunction. So far, there is no cure for MS; therapies are only available that modify the symptoms. Molecular microbiologists at the University of Southern California (USC) have uncovered intricate regulatory mechanisms within the cell that could lead to novel therapeutics for the treatment of cancer and other diseases. Their findings, which have long-standing significance in the basic understanding of cell biology, were published online on Septermber 22, 2013 in the journal Nature Cell Biology. "Our research reveals a new regulatory mechanism that coordinates two distinct intracellular processes that are critical to cellular homeostasis and disease development," said Chengyu Liang, M.D., Ph.D., a member of the USC Norris Comprehensive Cancer Center and principal investigator of the study. The endoplasmic reticulum (ER) and Golgi apparatus are cellular organelles in eurkaryotic organisms where proteins are synthesized and packaged for secretion through the body. The trafficking of proteins between the ER and Golgi must be tightly modulated to maintain the health of the cell and prevent diseases like cancer from taking hold. "Interest in the role of ER-Golgi network during cancer cell death has been gaining momentum," said Shanshan He, Ph.D., research associate at the Keck School of Medicine of USC and one of the study's first authors. "In this study, we identified a novel regulatory factor for the Golgi-ER retrograde transport and a new mechanistic connection between the physiological trafficking and the autophagic transportation of cellular material." The researchers discovered that the UV irradiation resistance-associated gene protein (UVRAG) (see image), which has been implicated in the suppression of colon and breast cancer, coordinates trafficking of proteins between the ER and Golgi apparatus and also autophagy, the natural process of breaking down cellular components. Researchers at the Washington University School of Medicine in St. Louis and Imperial College London have identified the site where the widely used anesthetic drug propofol binds to receptors in the brain to sedate patients during surgery. Until now, it has not been clear how propofol connects with brain cells to induce anesthesia. The researchers believe the findings, reported online on September 22, 2013 in the journal Nature Chemical Biology, eventually will lead to the development of more effective anesthetics with fewer side effects. "For many years, the mechanisms by which anesthetics act have remained elusive," explained co-principal investigator Alex S. Evers, M.D., the Henry E. Mallinckrodt Professor and head of the Department of Anesthesiology at Washington University. "We knew that intravenous anesthetics, like propofol, act on an important receptor on brain cells called the GABAA receptor, but we didn't really know exactly where they bound to that receptor." Propofol is a short-acting anesthetic often used in patients having surgery. It wears off quickly and is less likely to cause nausea than many other anesthetics. But the drug isn't risk-free. Its potentially dangerous side effects include lowering blood pressure and interfering with breathing. In an attempt to understand how propofol induces anesthesia during surgery, scientists have tried to identify its binding site within the gamma-aminobutyric acid type A (GABAA) receptor on brain cells. Activating these receptors — with propofol, for example — depresses a cell's activity. Researchers have altered the amino acids that make up the GABAA receptor in attempts to find propofol's binding site, but Dr. Evers said those methods couldn't identify the precise site with certainty. Researchers at the University of Texas (UT) Southwestern Medical Center have identified a cellular switch that potentially can be turned off and on to slow down, and eventually inhibit the growth of the most commonly diagnosed and aggressive malignant brain tumor. Findings of their investigation show that the protein RIP1 acts as a mediator of brain tumor cell survival, either protecting or destroying cells. Researchers believe that the protein, found in most glioblastomas, can be targeted to develop a drug treatment for these highly malignant brain tumors. The study was published online on August 22, 2013 in Cell Reports. "Our study identifies a new mechanism involving RIP1 that regulates cell division and death in glioblastomas," said senior author Dr. Amyn Habib, associate professor of neurology and neurotherapeutics at UT Southwestern, and staff neurologist at the VA North Texas Health Care System. "For individuals with glioblastomas, this finding identified a target for the development of a drug treatment option that currently does not exist." In the study, researchers used animal models to examine the interactions of the cell receptor EGFRvIII and RIP1. Both are used to activate NFκB, a family of proteins that is important to the growth of cancerous tumor cells. When RIP1 is switched off in the experimental model, NFκB and the signaling that promotes tumor growth is also inhibited. Furthermore, the findings show that RIP1 can be activated to divert cancer cells into a death mode so that they self-destruct. According to the American Cancer Society, about 30 percent of brain tumors are gliomas, a fast-growing, treatment-resistant type of tumor that includes glioblastomas, astrocytomas, oligodendrogliomas, and ependymomas. Each cell in an organism has a sensor that measures the health of its "internal" environment. This "alarm" is found in the endoplasmic reticulum (ER), which is able to sense cellular stress and trigger either rescue responses or the death of the cell. 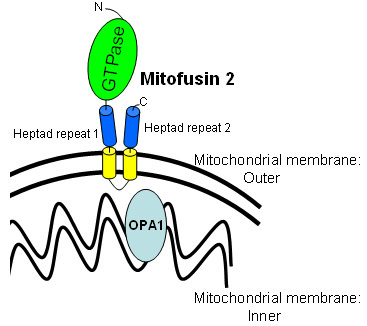 A team from the Institute for Research in Biomedicine (IRB), in Barcelona, has discovered that the protein Mitofusin 2 (Mfn2) plays a crucial role in correctly measuring stress levels, and also makes sure the pathways of cell repair or cell death are effective. The researchers reveal some of the molecular mechanisms that connect Mfn2 to ER stress in the August 28, 2013 issue of the The EMBO Journal. When the scientists removed Mfn2 from the cell under conditions of cell stress, the ER responded by over-activating the repair pathways. By doing so, it contradictorily functioned worse, reducing the capacity of cells to overcome the stress insult and promoting to a lesser degree apoptotic cell death. “When Mfn2 is removed, the cellular stress response pathways are completely disrupted,” says Dr. Antonio Zorzano, coordinator of IRB’s Molecular Medicine Programme and leader of the group “Heterogenic and polygenic diseases" Mfn2 is a mitochondrial protein whose deficiency is related to diabetes. In an earlier publication in PNAS, Dr. Zorzano’s research team demonstrated that without Mfn2, tissues become resistant to insulin, a characteristic of diabetes and the so-called metabolic syndrome. In this study, they also observed that the cells had higher endoplasmic reticulum stress. 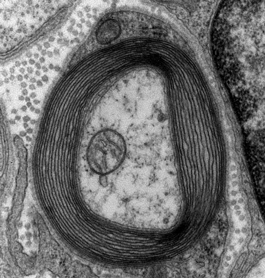 The current study investigates the relationship between mitochondria and ER, and indicates that changes in mitochondria, caused by the loss of the Mfn2 protein, directly affect the ER function.